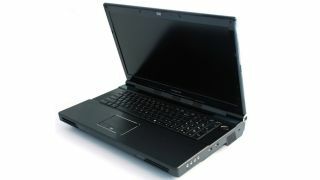 Notebook maker Eurocom Technology has beefed up its Panther line of 'supercomputer' mobile workstations to sport a maximum of 6TB internal storage, a capacity more commonly found in NAS boxes. The configurable Panther 4.0 Mobile Workstation and Panther 5D models can house up to four 1.5TB HGST Travelstar 5k1500 SATA 6Gb/s storage drives that rotate at 5400 RPM and feature 0/1/5/10 RAID support. Eurocom claims that the drives use 0.5 Watts in idle mode, resulting in higher performanc, more energy efficiency and longer battery life than previous models. Additionally, the company says the drives have an operating shock of 400G/2ms making them suitable for use in tough environments, which in conjunction with RAID support may appeal to professionals who prioritise data integrity and reliability. Both models are available with a 2.9 GHz Intel Xeon processor with up to an E5-2587W chip with eight cores, 16 threads and 20 MB of L3 cache. They sport a 17.3-inch full HD display, weigh 5.5kg and measure between 57.9mm and 62.1mm at the thickest point, depending on the configuration. Aimed at industry professionals requiring the graphical grunt to match, they are also offered with a choice of NVIDIA's Quadro K5000M, K3000M or K2000M GPU.